The productivity of Tunisian pilot companies that have adopted the Kaizen approach, the Japanese method of continuous improvement in productivity and quality, has increased by 30 %, said Chief Representative of the Japan International Co-operation Agency (French: JICA) in Tunisia Toshifumi Egusa. This approach is part of a project launched in 2009 by JICA and the Ministry of Industry and Small and Medium Enterprises in pilot Tunisian companies as well as in technical centres. The second phase of this project, which began in 2016, will end in 2019, Egusa said in an interview with TAP. Prizes will be awarded at the ‘Kaizen Africa Annual Conference’ on June 24 to 26, 2019 in Tunis to companies that have achieved the best performance in terms of quality and productivity, thanks to the Kaizen approach and will serve as models in Africa. 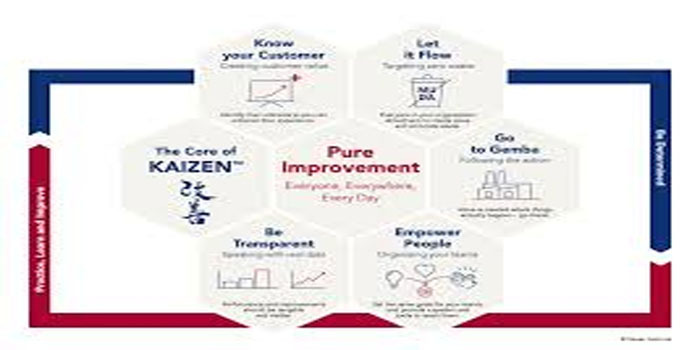 Egusa recalled that the Kaizen approach is a concept that targets the improvement of productivity, quality and training of trainers, while involving all actors in society (workers and managers). This project involves Japanese and Tunisian experts who work together in pilot private companies operating in textile-clothing, mechanics and chemistry, as well as in technical centres. ‘Initially, Tunisian business leaders were reluctant to integrate this concept but now they like it a lot and we receive requests from other companies to adopt it,’ said Egusa. ‘Currently, we are negotiating with headquarters to extend this project, especially as JICA hopes that Tunisia will become a leader of the Kaizen approach in Africa,’ he added. Tunisia will be hosting ‘Kaisen Africa Annual Conference this year on the initiative of JICA and the New Partnership for Africa’s Development (NEPAD) with the collaboration of the Management Unit of the National Programme of the Quality (French: UGPQ), under the administration of Ministry of Industry and Small and medium entreprises. It will bring together about 200 participants from such African countries as Botswana, Burkina Faso, Cameroon, Egypt, Ethiopia, Ghana, Mauritius, Kenya, South Africa, Mozambique, Namibia, Nigeria, Tanzania, Zambia, Algeria and Morocco. Representatives of international organisations will be present, such as the African Development Bank (AfDB), the World Bank (WB), UNIDO, and UNDP. The conference seeks primarily to promote the KAIZEN concept and spread it in Africa, share successful experiences in different countries and strengthen the network among all participating countries. It will be an opportunity to highlight the role played by the KAIZEN movement for economic structural transformation and job creation in Africa. This international conference is organised every year to promote the application of the Kaizen concept in African countries through a process of mutual exchange of know-how and practical experiences of Kaizen activities in Africa, Asia and Latin America. It is an opportunity to meet Kaizen practitioners and policy makers to share and discuss good practices and challenges to apply the Kaizen concept and future activities of the Kaizen Africa initiative.